The “Coal Creek Blaze” 8k race was this Thursday. The weather couldn’t have been more perfect. The rain threatened to make things interesting, but it held off until after the race. I love racing–hate training, but love the race. I came in a little faster than my goal time and I was able to take 1st in my age group, and 4th overall, which was exciting. There was a fun little kids race after and Halle ran the whole way! 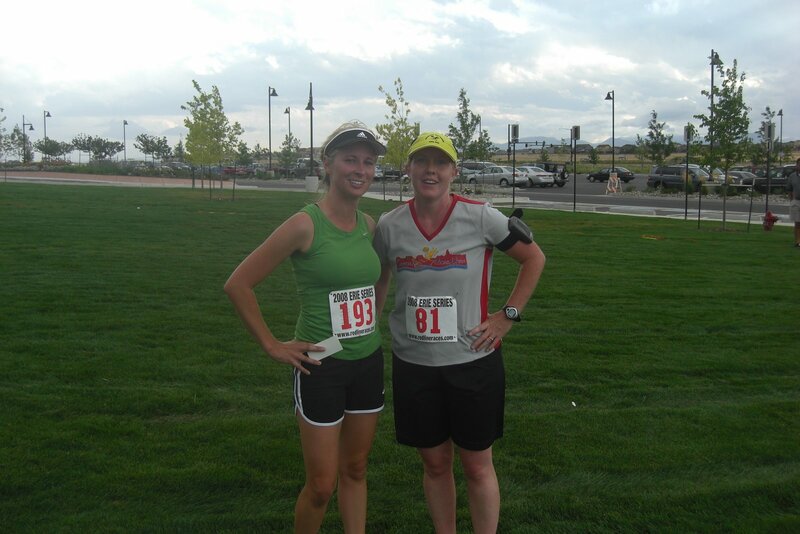 Me and my running buddy Allison. I love running with her because she pushes me to go a little faster than I would do on my own. 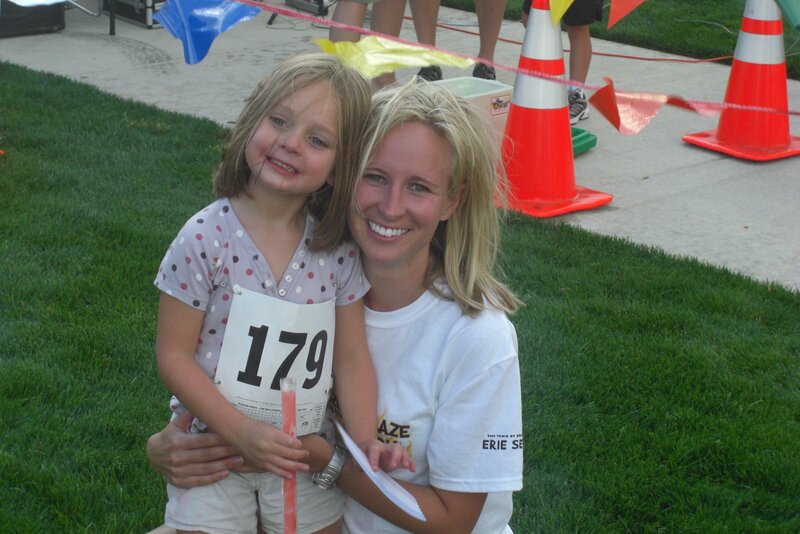 Our friend Joanna also ran the race–I don’ know where she was at picture time! 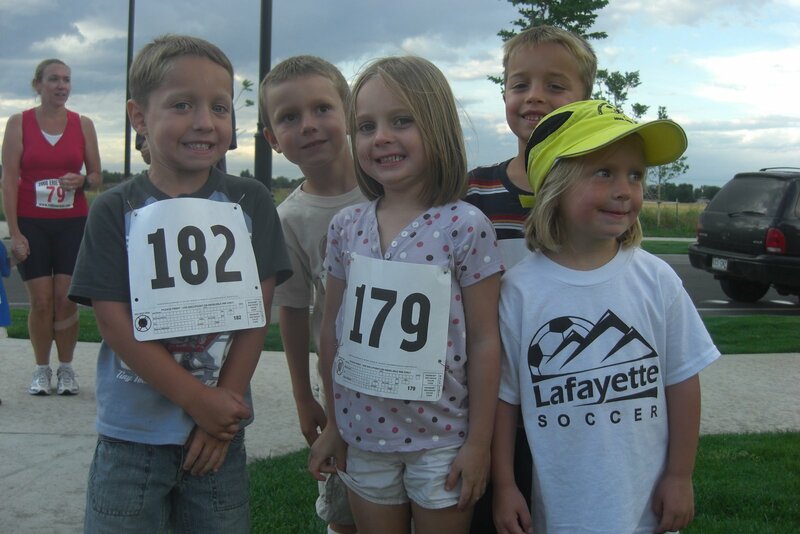 Halle and her friends Autumn, Taylor, Jude, and Levi at the starting line. August 17, 2008 in Uncategorized. Good job. 4th place is awesome. Maybe someday I’ll run another race… we could do one together. Go Tara! You look good! I love racing, and also hate training. 4th overall and 1st in your age group is great! I’m impressed! Tara,You’re an animal! Good for you! I can’t wait until I can start running! I hope I get to have your kids this weekend. Training really is crap, but yay to the race! You’re amazing!!! I don’t know that I would ever be able to run a race because I hate running and am so out of shape. So good for you!!! I am sad I missed you when you were out here. Hopefully next time I will get to hang out.